Expanding your life doesn’t mean you have to move. We understand families grow and need more room. With over 15 years of experience we are able to help with expanding your home. Adding space to your existing house is a great way to not only add value but a personal touch. Looking to create a beautiful entertainment room? Want more space for the kids to play? Need a place to relax? 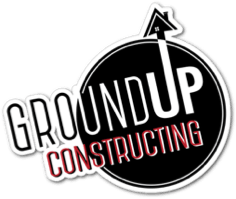 At Ground Up Constructing we are here to help. Our company knows how to keep your project on track, ensuring your budget is utilized to its full potential. We guarantee a successful renovation that will turn out better than you could have imagined. We take pride in our abilities & cannot wait to work with you. Ground Up Constructing provides competitive pricing and quality workmanship. We manage all aspects of your construction project. We make your vision ours and work together to create it. With every project we complete, we add to our family of satisfied clients. Making sure it is completed right the first time.